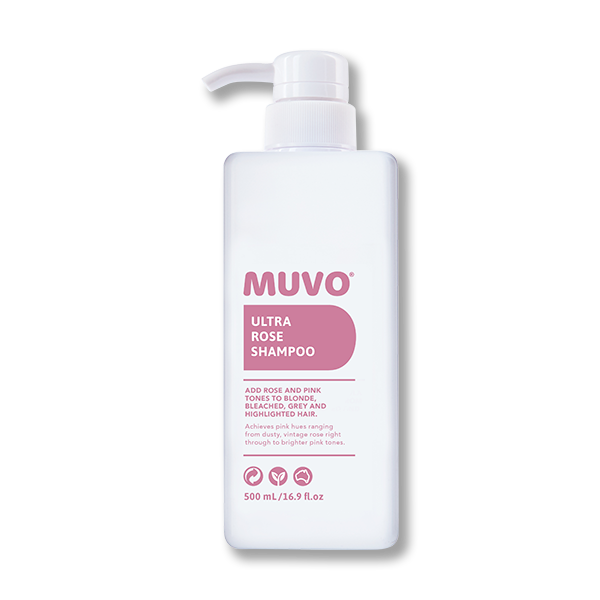 Use MUVO Ultra Rose Shampoo for your everyday pink adventure. From dusty rose to bright pink tones, we invite you to experiment with our uber cool rose suds. 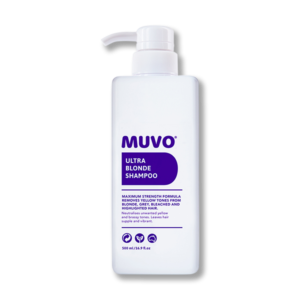 This hydrating formula will ensure your locks maintain moisture & optimum hair health. 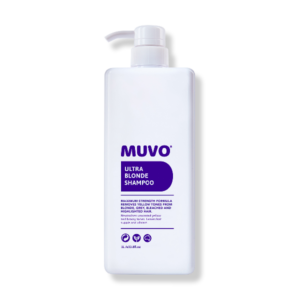 Usage: For soft hues: Apply to wet or dry hair, lather and leave in for 1-3 minutes depending on the amount of rose required. Rinse thoroughly. Our Rose takes very quickly to pre-coloured or bleached hair. In this case, mix with your everyday shampoo for subtle pink hues. For brighter tones: Apply to wet or dry hair. Massage in and leave for 5-10 minutes depending on depth of colour intended. Rinse thoroughly.